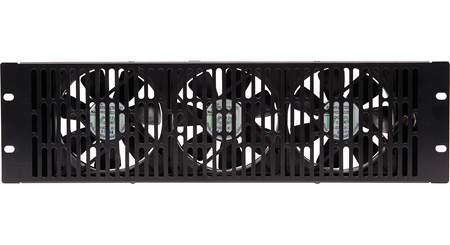 This fan panel is designed for use with the Sanus CAPT01 low-voltage power supply. The thermostat kit that comes with the CAPT01 controls the fans, and activates them when necessary to keep your rack-mounted components cool. 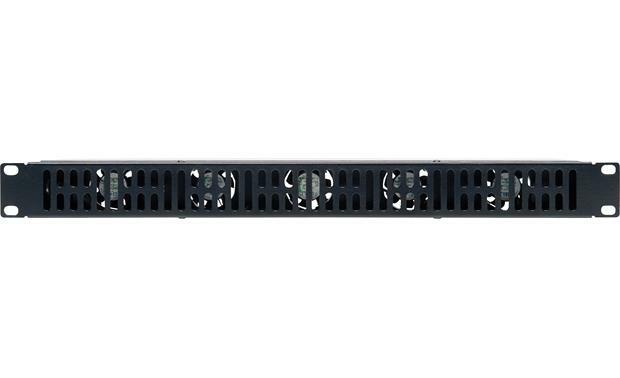 Overview: The Sanus CAFC01-B1 ultra-quiet fan helps to cool the equipment mounted in your A/V rack. 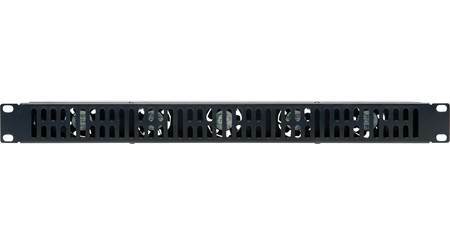 Five 1.5" diameter fans are mounted to a single rack unit (1U) panel (for a standard 19" rack). 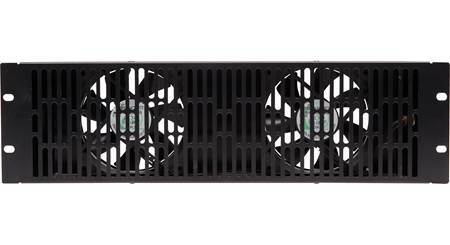 The fan is powered by the Sanus CAPT01-B1 multi-volt power supply (not included), and is automatically activated by the thermostat kit (included with the power supply) when the interior of the rack exceeds a specified temperature. A 6' DC power wire is included. Note: No rack mounting screws are included with the fan. Searches related to the Sanus CAFC01 Rack-mounted ultra-quiet cooling fan.